The week leading up to Bath Carnival the community comes together at Green Park Station to make the final preparations for the big day. The finishing touches will be added to our awesome collection of costumes, colourful decor constructed for the festival event, local schools and community groups joining forces to complete their outfits and all the other exciting activities involved in preparing a large outdoor event. 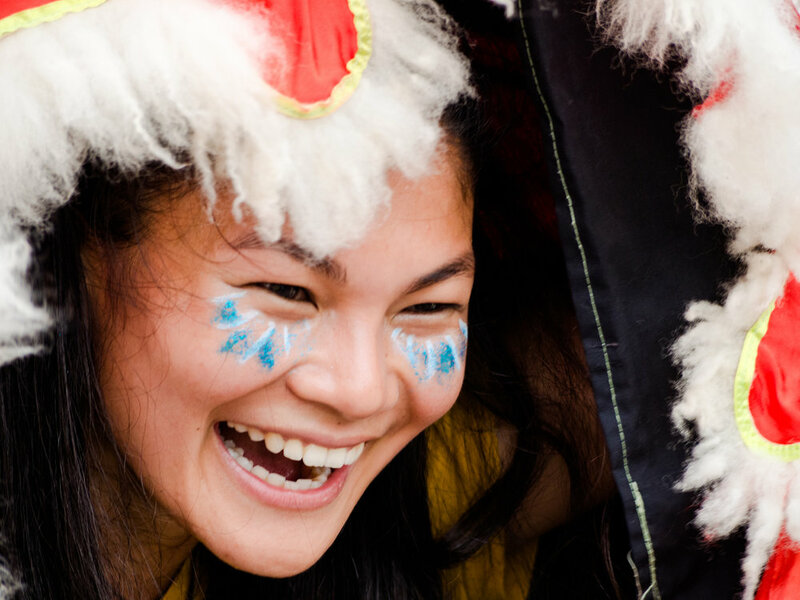 We will be offering over 40 hours of FREE creative workshops including drumming workshops, dance classes & costume making at Green Park Station's market square, the week leading up to Bath Carnival. Sign up today by choosing a specifc form below. Choose from an array of hand percussion instruments and within a couple of hours you’ll be part of the distinctive sound of Samba. This session is led by Bath’s very own Jamma de Samba. A chance for parent and child to get creative together - decorating their pushchairs, trikes and outfits in true Carnival style. Once finished our friends at Little Things Magazine invite you to join their Family Bloc in the procession. A double biller! Brazilian dance with Bath Carnival’s dance resident dance teacher Angeles Montero and Maractu style percussion with Afon Sistema, winners of the Bath Carnival 2016 procession and runners up in 2017. Pick up your bag of materials on arrival and learn how to make a beautiful Carnival head dress. Even bring your own items to customize! Amazing opportunity to learn the basic patterns from the Zagrobi and Digba dance which originated from the Bette people located in South West Ivory Coast. *Due to popular demand we've now added African drumming to this workshop too!